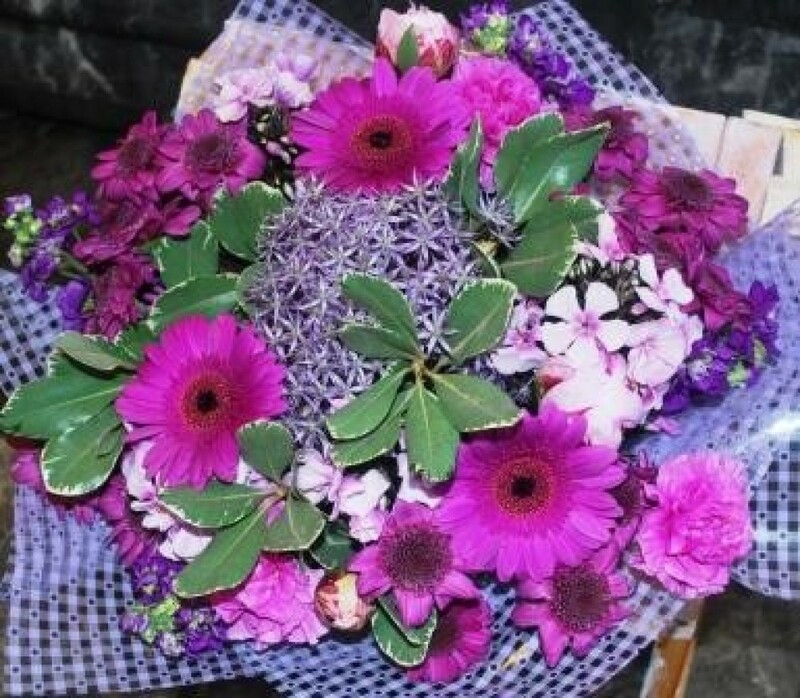 Stunning handtied bouquet in purples and lilac colours. A bouquet to brighten anyones day. in Aberdeen and surrounding areas. Same day delivery is often available on orders received before 2pm local time.